From the spectacular native wildlife of Kangaroo Island to the multi-coloured marine life of the Great Barrier Reef; from the rugged mountains of the Grampians to the temperate rainforest of the Otway Ranges – Australia is a must-visit destination for the nature and wildlife enthusiast. Uncover Australia’s natural splendours and unmissable wildlife with this complete, well-paced itinerary. You start your journey in the capital of southern Australia, Adelaide, before setting off for Kangaroo Island, a ‘zoo without fences’ where goannas, koalas, wallabies and kangaroos make their home amidst the wild bushland. You’ll then pick up your hire car and drive off to discover the soaring peaks, deep valleys and wildflowers of the Grampians, before following the Great Ocean Road to Port Fairy, Apollo Bay and vibrant Melbourne. Your tour concludes with a stay on beautiful Hamilton Island in the Whitsundays, where you can kick back on gorgeous beaches and spend your days discovering the under-water wonders of the Great Barrier Reef. Price includes international and domestic flights, car hire, full board at Southern Ocean Lodge and bed & breakfast at Boroka Downs, Oscars Waterfront Boutique Hotel, Captain’s at the Bay, The Lyall and Qualia. Based on two people travelling. Your flight from London lands you in the picturesque city of Adelaide where you’ll be welcomed by airy boulevards, elegant buildings, superb museums and pretty gardens. You’ll be met and taken to your glamorous boutique hotel set in the city’s heritage-listed Colonial Mutual Life building. You can shop to your hearts content at Rundle Mall, or sample some of the delicacies on offer at the bustling Central Market. You can even take a tram ride down to the seaside suburb of Glenelg where you’ll find a long sandy beach. Today you hop on another flight to Australia’s third largest island and one of the country’s most pristine natural wildernesses. Separated from the mainland thousands of years ago, Kangaroo Island supports a diverse mix of wildlife including goannas, penguins, echidnas, seals and iconic Australian species like koalas, wallabies and, of course, kangaroos. Guided excursions provide fantastic encounters with the abundant wildlife, and when you need a break, it’s easy to find a quiet spot to relax along the 480-kilometre coastline. 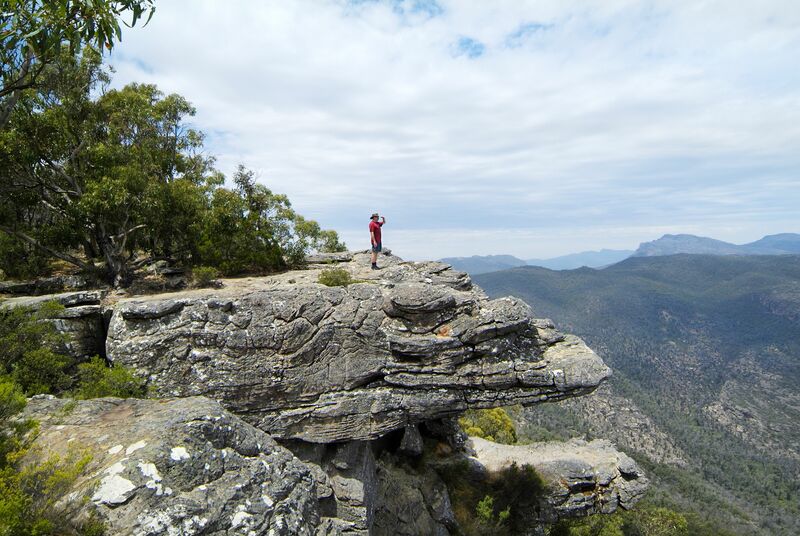 Today you pick up your hire car and make your way to Grampians National Park. As well as a ruggedly beautiful landscape – consisting of spectacular sandstone mountains, craggy slopes and wildflowers – the region is known for its plethora of indigenous wildlife and ancient Aboriginal art sites. Your time here can be spent exploring the great outdoors by hiking, rock climbing, fishing and canoeing. The park also has several panoramic viewpoints as well as scenic waterfalls to discover. The next destination on your self-drive is the quaint fishing village of Port Fairy, just off the Great Ocean Road. Port Fairy is a pleasure to explore with its collection of boutique shops, antique stores, museums, pubs and cafes. The broad streets are lined by old stone churches and an array of intact nineteenth century buildings – many of which are protected by the National Trust. You can visit one of the largest seal colonies in southern Australia at Lady Julia Percy Island – a four-hour cruise away – and in the winter months enjoy whale watching tours. Up next is Apollo Bay. Your chic cottage accommodation is situated within walking distance of the beach, where you can go swimming, kayak amongst seals, learn to surf or ride a horse along the sands at sunset. You can also visit Australia’s oldest lighthouse and explore the nearby Otway rainforest. For superb panoramic views over the town and coast, head to Marriner’s Lookout Road or Cape Patton. Melbourne – a lively, cosmopolitan city on the banks of the Yarra River – delights with its beaches, world-class restaurants and endless cultural, sightseeing and shopping opportunities. You can spend the day exploring the city’s vibrant neighbourhoods, each of which has its own unique personality. You’ll be staying in an award-winning boutique hotel in the South Yarra suburb, conveniently located close to the city centre. After dropping off your hire car at the airport, you fly off to Hamilton Island in the Whitsundays where you will be dazzled by a rich turquoise sea, powder-soft beaches and multi-coloured marine life. This tropical island is the perfect finale to your holiday, where you can spend your time exploring the underwater treasures of the Great Barrier Reef, sailing the islands on a luxury sailboat or simply lazing on the pristine sands of the famed Whitehaven Beach.